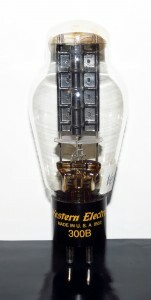 This entry was posted in Vacuum Tubes and tagged 300B, Western Electric by tubemaze. Bookmark the permalink. And finally… drum roll please.. the tube of all tubes – the desire of every audiophile – the stuff the dreams are made of… Well almost. I can’t dispute that this tubes is fantastic, but the price is just out of this world where the sound is not a huge improvement compared to reissue Genalex 300B tubes. The tube has superb bass and very musical, but the difference is just a bit here and a bit there. Genalex provides a bit more airy top and a bit more transparency compared to WE. I didn’t have the night and day experience some people report – although a lot of night and day comparisons are for Chinese 300B tubes. Can’t say – I haven’t tried cheap Chinese tubes, but if they are like their 12ax7 tubes – run away and stay away. 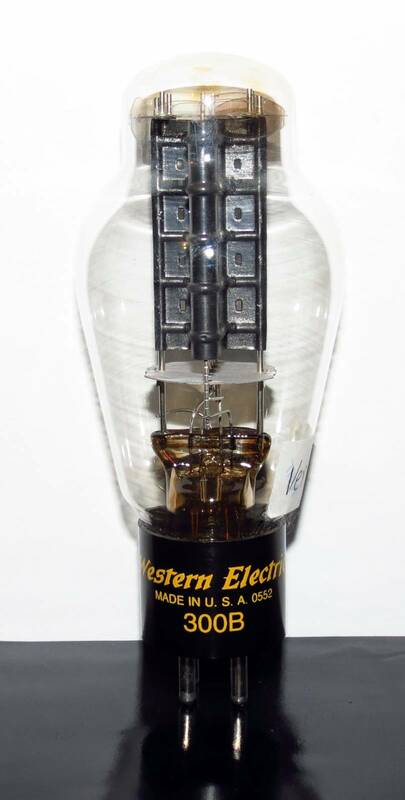 So all in all, great tube with beautiful mid-range and very relaxed presentation that will give you hours and hours of fantastic listening experience, but new production tubes (especially tubes like Genalex) are very, very close in sound to Western Electric. I wouldn’t spend anywhere close to what people are paying for them.